Brisbane's number one salsa dance night! Make Cloudland the place to be every Thursday night with Soul'sa, where you can enjoy dinner with delicious margaritas and mojitos, plus FREE salsa dance lessons from 9pm. 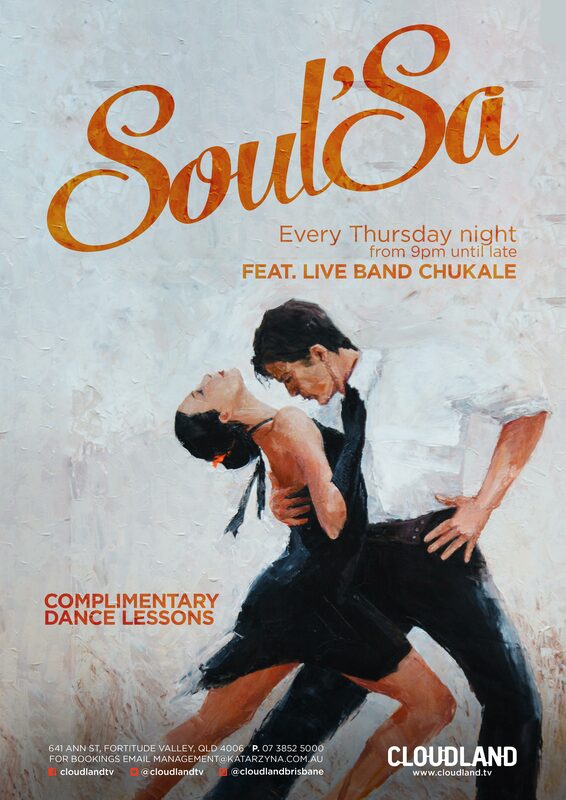 Get your Latin groove on to Chukale [live] until late! Cloudland offers a number of opulent and luxurious VIP booths, the perfect private setting for a relaxing evening or festive celebration. Call 07 3852 5000 or email management@katarzyna.com.au for booking information.